Don’t we all hate it when we lose work and have to start over? Give your loved ones the gift of time…time saved from recovering lost files, that is, with an external hard drive! My personal recommendation is the Toshiba External Hard Drive…I have 4 of these sturdy little bad boys and they always got my back. Are external hard drives out of your budget? You can opt for a more affordable flash drive instead! Just find a design that’s cute and suitable for the recipient. Or if you have photographer/blogger/vlogger friends, you can get them a memory card. These gifts are bound to be useful even for non-artists. Maybe you know someone who is a budding artist/designer? Wacom has a line of affordable Intuos tablets that come with free programs to help them get started on their own artventures! Or if you’re extra generous, go spoil them with a Wacom Intuos Pro! It comes in 3 sizes: small, medium, and large. I’m very happy with my medium one, but your recipient might be just as happy with a small or a large tablet. READ: Wacom Intuos Pro Unboxing and First Impressions! Every creative, no matter at what stage they are in their career, know that they need to constantly learn new things to improve their craft. Skillshare is a perfect place for that. Skillshare is an online platform where you can watch as many online classes as you want in a variety of topics (animation, illustration, design, watercolor, calligraphy, cooking, art business, lifestyle…the sky’s the limit!). Skillshare is subscription-based, and you can start with a free account to avail of free classes, or go premium for either $12 paid monthly, or $96 paid annually to access all the classes. The great thing about Skillshare is that the subscription can be given as gift vouchers. There’s $36 for 3 months, $60 for 6 months, and $96 for 12 months! This is definitely THE gift that keeps on giving. Websites such as Creative Market and Design Cuts are a haven for design resources. Maybe you know someone who is having a wedding/party and need some invites? Or maybe your officemate loves to collect fonts? Or perhaps your cousin just got started with Photoshop and need some design elements to play with? With a Creative Market gift card, they can download any font, design template, texture, stock photo and illustration they want. Choose from $20, $50, and $100 gift card options. If you’d like something a bit more curated, Design Cuts might be for you. 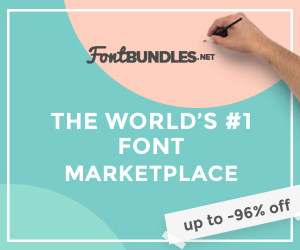 They release bundles of the very best hand-picked fonts, vectors, templates, brushes, and more that are worth thousands of dollar in value, but at Design Cuts you can get them at 99% off for only $29! Their gift voucher comes in a $29 option and can be redeemed for any current and future bundles. Plus, your recipient gets a personalized message/video on how they can redeem their bundle! How awesome is that? Who doesn’t love gift cards? It’s the freedom to choose whatever gift you want! Maybe they want something that can’t be found elsewhere? Amazon might have you covered! Amazon gift cards are completely customizable…the physical cards can come in a beautifully designed box or envelope, and there are numerous options for the design of the card itself. Choose from a static design, upload your own photo, or get one that’s animated! There are also options to have the card gift card shipped, printed at home, or sent by email. They can also come in any amount you’d like, depending on the type of card you’re sending. This is an easy and useful gift option. To make it more thoughtful, some things you can consider are: the recipient’s favorite color, their favorite animal, their favorite place (for example if they’re into Paris, maybe you can find French-themed office supplies), their favorite cartoon/movie characters, or maybe there’s a quote or word that’s appropriate for the current stage of their lives. Is your friend a fan of a particular artist? See if that artist sells their work online and pick up a print or shirt from them! Or it doesn’t even have to be a particular artist…just see what your recipient is into (Cats? Owls? Dogs? Succulents?) and there’s bound to be a ton of awesome designs in sites like Redbubble and Society6. Sure it might be a bit pricier than mass-produced prints, shirts, mugs, etc., but that’s the thing…these aren’t mass produced, and it’s a great way to support independent artists! Some artists even offer their designs as digital downloads, so if you’re looking for a more affordable option, you can purchase printables from sites like Etsy and Creative Market, and then have it printed in your local printing shop. Not sure what they might like? Don’t worry…Redbubble and Society6 have gift vouchers too! Does your friend love a particular movie? Check if there’s an “art of” book for it! (and make sure your recipient doesn’t already have that book LOL). Studios usually publish an “art of” book for their movies wherein they share early sketches and concepts behind the making of the film. Your gift recipient will be sure to find books like these interesting, and it may even inspire their next work! Pick up a beautifully-designed sketchbook, some art supplies that they love or you think they’d like to try (watercolor sets, calligraphy pens, brush pens, etc). And maybe toss in a tutorial book that would suit those art supplies (How to do calligraphy, watercolor for beginners, step-by-step illustration books, etc). Essentially you’re building a fun little art kit that they can play around with or use for work! These are great because it’s completely customizable to your recipient’s interests, and your budget! Take a moment to look around your circle of friends and family. Maybe someone is selling handmade necklaces? Or stickers? Or sweets? Why not support their business and get your Christmas gift from them? You can also check out if your local NGOs or charity shops are selling merchandise to raise funds for a cause that your recipient supports. Shameless plug: my mom just started a small business called The Polvoron Experience, and she’s selling uniquely flavored polvoron (a type of Filipino sweet). Check out her Facebook page here! And there you have it! 10 gift ideas that have a bit more thought behind it. Do you have other awesome gift ideas that you’d like to give or receive? Share it in the comments below!